Food is consistent, right? You have a bad day, you reach for a cookie, you just got dumped, you reach for ice cream, you’re grumpy and have a headache, you soothe yourself with some chips and salsa, you’re lonely, you order a pizza. Food can be soothing and comforting and help you find peace quickly. Unfortunately though, the solution can then become the problem. It’s really important to stop when you find yourself reaching for food and ask yourself what your motivation is. Are you trying to make yourself feel better? What are some other things that would be soothing besides food? Food often seems like one of the best ways to take care of yourself because it’s right there, it’s consistent, and it’s easy. But if you had a list of soothing things that you could do instead of eat, might you be able to soothe yourself in a different way? What are some other soothing activities that you do besides eating? This question comes to us from someone who prefers to remain anonymous. Q: I hate myself so much. I buy food all the time then I eat some and then I get rid of it by throwing it out so I don’t eat anymore, and then later I go through the garbage can to get it. I’ve even tried pouring coffee grounds or cigarette ashes on top. It doesn’t matter, I’ll eat it anyway. And I’ve even eaten a half eaten slice of pizza out of the garbage that was in the street. I’m disgusting. I’m not poor and I’m not homeless. I’m just gross. I hate myself so much. I can’t believe I do this. I don’t eat off the street very often, just a couple of times, but I’ve eaten out of my garbage, out of my parents garbage, and when I was in college, out of the dorm garbage. I don’t know what is wrong with me. I’m a mess. Can you help me? A: I am so, so very sorry to hear that you are going through such a tough time. First off, I’m so happy that you reached out for support. 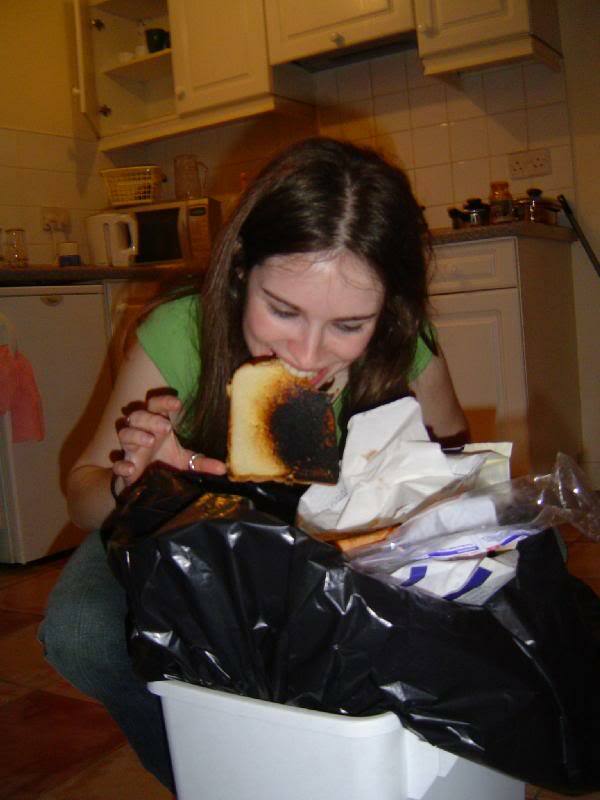 What I want you to know is that eating out of the garbage is not uncommon for someone with an eating disorder. You are not alone. I can tell that you are feeling a lot of shame and guilt. This is not a character flaw, this does not make you a bad person, this does not make you disgusting, this does not make you worthy of self hatred. This is a very intense addiction and compulsion that you are dealing with. I would encourage you to get help from a therapist as well as doing some group therapy. I would also encourage you to join a group such as OA or CEAHOW or EDA. You will find others who have acted compulsively with food, whether it be shoplifting food, eating out of the garbage, scavenging or stealing food, or any other type of way that people tend to act on their compulsive desires around food. So many people who deal with these kinds of issues feel so isolated and alone, as though they’re the only person who’s ever done this. However, as I said before, this kind of behavior is very, very common amongst people dealing with an eating disorder. Working to heal your shame and change these behaviors will take active work on your part, however, I think that as you begin to tell your story, you will find hope and healing. If anyone has any other answers, suggestions, experience, strength or hope, please do feel free to contribute in the comments. When you let go of dieting, you incorporate intuitive eating. Intuitive eating doesn’t mean eating a whole pan of brownies when you want to. If you want that pan of brownies, think to yourself, “will this trigger a binge, or will I be able to eat one in a healthy way?” If you intuitively know that right now, baking brownies is not a good idea for your recovery, then you need to let go of it. For now, not forever. 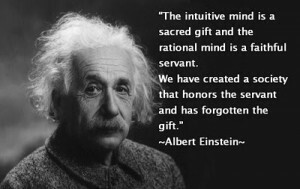 It’s understanding NOT just what your body needs, but what your psyche needs and how you will react to certain foods. This is about trusting the wisdom of your body and trusting the wisdom of your wise mind and allowing them to synergistically work together. There is often a misconception that intuitive eating is eating whatever you want whenever you want and as much of it as you want. That’s just not true. As children, we need healthy and loving boundaries from our parents. As adults, if we can healthily internalize that loving voice, we can learn to place loving, healthy boundaries on ourselves around food. So it’s not, “I want that entire box of girl scout cookies and I’m going to eat them now,” it’s, “I will have two now and know that I can have some more tomorrow.” In intuitive eating, we don’t put pejorative restrictions on ourselves, we set healthy boundaries for ourselves. We do that all the time as adults. We try to drink moderately, to spend moderately, to drive safely. If we went with our desires all the time, we might be drinking and driving, driving too fast, charging up our credit cards and going into debt. Intuitive eating is NOT about giving into your compulsive desires. It’s about noting them with consciousness and love, and having our adult self come out and allow us what we want with a rational mind. It’s about mindfulness and attention and close thought. By following intuitive eating principals, your weight will normalize, or come to the place that your body is meant to be at, and you will begin to feel safer around food. Eat When You are Hungry. This is challenging for someone with binge eating disorder because sometimes real hunger and emotional hunger can get confused. Check out this post to learn more about hunger. Stop When you Are Satisfied. You don’t have to eat until you are full. Eat slowly and mindfully and listen for physical cues that tell you that you are not hungry any longer. Stop in the middle of a meal or food and ask yourself how hungry you are, how much more food you need, how the food tastes and how you are feeling. Many people eat until they are full or until they can’t eat anymore. You should definitely not leave a meal hungry. But if you can let yourself stop before you get full, your body will readjust to smaller portions allowing for weight loss. Try to go for 80% full. You could still eat more, but you’re not uncomfortable. Remember that you still have your next meal. No restricting here, there’s always a next meal to do it again. If you feel that you haven’t done it right, you always have another one to try again with. Enjoy your Food. Eat slowly, don’t rush through your meals. Avoid eating standing up in front of the refrigerator, eating while driving, eating while walking, or eating in front of the television. Sit down and make a ritual out of each meal. Respect Your Body. As you learn to give your body love and respect, you will find that you begin to feel more of who you are and better about that person. Exercise with Love. Find a way to move your body that you enjoy. Yoga, pilates, walking, jogging, swimming, any way that you enjoy moving your body will help you to find body love. It’s important that exercise isn’t punishing or compulsive. It should be enjoyable and something that makes you feel strong and great. Not tired and uncomfortable. Try Meditation.This guided visualization can help you to integrate intuitive eating into your daily consciousness in order to help you learn intuitive eating. This question comes from Elizabeth in New York City. Q: I went on a diet last summer. I lost 40 pounds from June to November by eating exactly 1200 calories each day and running on the treadmill for 45 minutes every morning. Starting around Thanksgiving, I lost it all. I started bingeing at the Thanksgiving meal, and I tried to get back to calorie counting, but I haven’t been able to. I’ll go like one day but then I’ll binge again. I’ve gained back most of the weight that I’ve lost and I can’t seem to get a hold of my eating, and I’m barely even exercising anymore. Can you help me? I feel so out of control. How can I stop bingeing and get back to my goal weight again? I’m miserable. 2. )Eat at least three healthy meals each day. 3. )Learn your cues for hunger and satiety. Check in with your body and understand if it’s hungry, full, satisfied, neutral. 4. )Eat slowly and mindfully and as you’re eating, continue to check in with your body and see what it needs. 5. )Don’t let yourself get too hungry, don’t let yourself get too full. Try to satisfy your hunger gently. 6. )Bingeing and restricting are both very harsh, almost violent acts that you commit toward your body. Try to be very gentle and give it what it needs. 7. )Don’t restrict any particular food. This doesn’t mean that if you can’t figure out if you want pizza, or tuna fish, or a hamburger for dinner that you should have all three. Remember that there is always a next meal, and always another opportunity to eat. 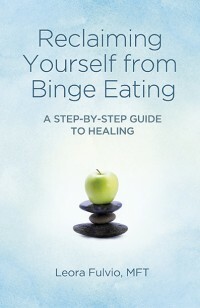 Often, the impetus behind a binge can be the rational, “I’m starting a diet tomorrow, so I’m not going to be able to eat this for a long time…” if you take that out of the equation and remind yourself that you can eat what you want to eat in a moderate and healthy way, you will find that the temptation to binge, the all or nothing mentality can shift a bit. 8. )As with your food, don’t let your exercise be black and white. Allow yourself to exercise 3-5 days per week even if you’ve had a challenging or a bad day with food. If you don’t feel good or are injured, let yourself rest. As you find a middle ground between bingeing, restricting, and exercise, your body will find it’s healthy weight which will be comfortable and pleasing to you. I hope that this answered your question. Good Luck. If anyone has any other answers, please do feel free to contribute in the comments. A binge can look very different to many different people. Some people believe that eating two cookies is a binge. That’s definitely not a binge, however, it can feel like a binge to someone who exerts strict control over their eating. Although objectively, two cookies is not a binge, in that personality type, it can illicit the same feelings of guilt and shame that an all out binge does. 2. Lack of control over eating during the binge episode (i.e. the feeling that one cannot stop eating). 1. )Eating a larger amount of food than normal during a two hour time period. I’m going to throw this one out. Because who knows what normal is. Some people eat much more or much less than others to make their bodies run efficiently. You can’t compare.You can’t even compare what you normally eat to different times. Perhaps you were hungrier, or menstruating, or exercised more and your body needed more calories for whatever reason. This one is difficult to measure. 2. )Lack of control over your eating, feeling like you cannot stop. This is key. When someone is in the middle of a binge, they often feel as though they are not in charge, that the binge is actually in charge and that stopping or preventing the binge is not an option. 3. )Eating until you are uncomfortably full. Your body will give you signals as to when it’s time to stop eating. 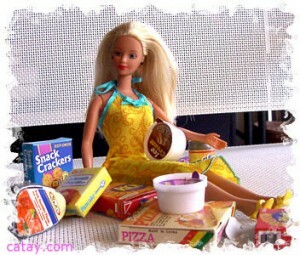 In a binge, often you won’t listen to those signals, and continue to eat until you hurt. 4. )Eating large amounts of food when you are not physically hungry. This doesn’t mean eating an ice cream cone after lunch when you’re not hungry, this means going for a good amount of food, like another full meal when your body just doesn’t need it. In this case, you are eating to satisfy a feeling that is not hunger, possibly to take care of another feeling like loneliness, sadness, anxiety or fear. Again, I’ll throw this one out. What is normal when it comes to eating? Sometimes you eat slow, other times you eat fast. You might be late, you might be hungrier than usual, you might be anxious. I don’t think that faster than usual has to consistently indicate a binge. However, binge episodes are often frenzied. It can feel like a race to get as much in as fast as possible. Although this certainly a characteristic of a binge, this is also a characteristic of someone who who has other eating issues that are not necessarily BED. I’m putting these two together because they are so similar. Yes, after a binge, most people do feel a sense of guilt, shame, depression, self anger, and anxiety. There are a lot of promises to self that they’ll never do that again. However, as I stated earlier, there are people who feel the same way after eating a normal amount of food. I’ve worked with clients who have this anxiety about eating anything, even a small cup of yogurt. Just because you feel guilty doesn’t necessarily mean it’s a binge. *IMAGE CREDIT TO CAT’S HOUSE OF FUN. There is a theory that many people binge on crunchy food, such as cereal or chips when they are trying to process unconscious anger. Anger is a challenging feeling for many women to feel. When rage and anger goes unexpressed, it turns inward and becomes depression. What’s important is to learn how to be in touch with your feelings so that you can recognize anger when it occurs. Perhaps someone cut you off when you were driving, or someone at a store said something rude or insensitive, or your boss upset you. Lots of women internalize that and believe that if someone said something mean or rude or insensitive to them, that they probably deserved it. But the truth is, no one should ever treat you with unkindness or disrespect, even if you mess up. If they do, it is a character flaw within them. In my opinion, being kind, being compassionate and holding yourself in integrity will get you far in life. And everyone deserves to be treated with kindness unless proven otherwise. When someone treats your poorly, it’s their fault, not yours. When a binge eater is mistreated, rather than either standing up for him or herself or processing her anger, she will eat over it. It’s ironic. Someone hurt you and your response is to hurt yourself. When you begin to choose recovery, you will notice that your feelings are more apparent to you. When someone makes you angry, either talk to them about it (if it’s safe). If it’s not safe, write an angry letter and put it in a bottle and send it out to sea. Don’t let that anger fester inside of you to hurt you. Don’t stuff it down, get it out. You can talk to a close friend about it, you can punch a pillow, you and put on heavy boots and clomp up a hill. It’s not easy to recognize when your default has always been to eat as soon as you even begin to feel anger, but if you can stop yourself and ask, “what am I feeling?” you might find that you are able to save yourself. This question comes from a reader in North Carolina. I’m so sorry that you’re going through this. It sounds very, very difficult. However, it’s not uncommon. I have a few thoughts. 1. )Are you eating enough during the day? Often people try to restrict during the day time and by the time the evening falls, they are ravenous. Make sure that you are getting at least 3 substantial meals every day. 2. )It also sounds like you are dealing with anxiety. You are tossing and turning and not able to sleep, and the thing that soothes your anxiety is a binge. If you are in fact getting enough to eat during the day, the next thing to do is begin to look at your sleeping pattern and your anxiety. 1.) Are you heading to sleep too early? Is it possible that your natural bedtime is closer to 11 or 12 and you’re putting yourself to bed early and trying to force yourself to sleep at a time that causes anxiety about sleep? Perhaps you might try to relax and watch a tv show that you like or sit in bed and read a book for an hour or two before you shut the lights out. This might help you to fall into some natural fatigue rather than forcing it. 2. )Are you giving yourself a buffer between your day and sleep? You need space to unwind between your day and going to sleep. Sometimes people can lay in bed and ruminate about what they have to do, what they did and what went wrong. Give your brain time to settle down and decompress from the day. 3. )Remember that sleep is a natural biological function and you don’t need a binge to sleep, but your anxiety about bingeing and whether or not you will is keeping you up. 4. )Allow yourself a snack before you go to bed. Preferably something warm, like hot tea with maybe some cheese or something high in protein. Definitely give yourself some food so that you know that you’ve eaten without having to get up and go for a binge. 5. )You might want to talk to your doctor or therapist about insomnia/anxiety and begin to work on that. 6. )Look at your caffeine intake. Often, cutting back to just 1-2 caffeinated drinks a day, and none after noon can help with sleep and anxiety. That includes soda, black tea, coffee and even chocolate. 7. )It’s important for you to do your own research or talk to your doctor about this, but often Calms Forte can be a helpful and innocuous remedy to help sleep come a bit easier. 8. )Put a sign on the pantry/refrigerator with reminders that you don’t need to binge to sleep, that you can fall asleep naturally without bingeing. That way, when you come to your kitchen at night, it might jar your consciousness a bit and help you to make a more informed decision about your intent. I hope that this was helpful. Good Luck. If anyone else has any advice, please do post in the comments section. I recently came across this study done in 2002. They were trying to replicate dieting and stress in rats to see if they would acquire eating disorders. They began by giving the rats 66% of the amount of food (Rat Chow!) that they usually ate. That’s like going from a 2000 calorie per day diet (normal) to a 1300 calorie per day diet (restrictive). They had the rats on this diet for 4 days. After 4 days, they lost 7-9% of their body weight. After the days of restriction, they were allowed to eat freely for 6 days. At the end of the 6 days, most of them they’d gained back almost all their weight and in some cases 5% more. This finding is not significant. 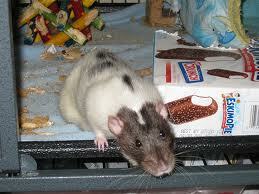 After day 6, the rats were exposed to stress (shocks). They were then given access to their rat chow and ate a normal amount, the same as they had eaten after the four days of restriction. They then, created 4 new groups, one group that was unrestricted and unshocked (control group), one group that was on a restricted chow diet, one group that was shocked (stressed) and one group that was restricted and shocked. They then introduced Oreos into the picture. After the shocking and restricting was completed, the rats were given as much access to Rat Chow and Oreos as they wanted. 1. )The control group (no restriction no stress) maintained their weight and their food intake with both the Rat Chow and the Oreos. 2. )The restricted group gained back what they’d lost during the restriction. 3. )The stressed group maintained their food intake/weight. 4. )The restricted stress group, though they were neutral on the Rat Chow, ate as much as they had previously had, however, they binged on Oreos. Their intake was almost 33% more (entirely on Oreos) than it had been. Interesting! What does it all mean? The purpose of this study was to test the hypothesis that when caloric restriction and stress come together, it causes an increase in food intake. This hypothesis was guided by the idea that dieting is the strongest predictor of stress induced binge eating disorder in the human population. Even rats don’t do well on diets! One of the ways to work through binge eating disorder is to really get a handle on stress. Some things that I’ve found incredibly helpful in alleviating stress are writing, reading, running, acupuncture, meditation, yoga and talking to friends. Others find knitting, sewing, walking, drinking tea, watching TV, seeing movies, getting massages, and deep breathing can be stress relieving. What are some things that you do to relieve your stress?